I always have a bowl of fruit on my dining table. Last night I noticed a couple of bananas and apples were getting over ripe. That gave me the idea to do a bit of baking after church today. I’m not much into sweet breads except for Apple Banana Walnut Bread. I made two loaves – one for us and the other for a neighbor who has been friendly. What better way to get to know someone than to knock on their door with a freshly made sweet bread in hand? We all have favorite tools of the trade. I love the color red and have a couple of appliances that I’ve splurged on in this color. 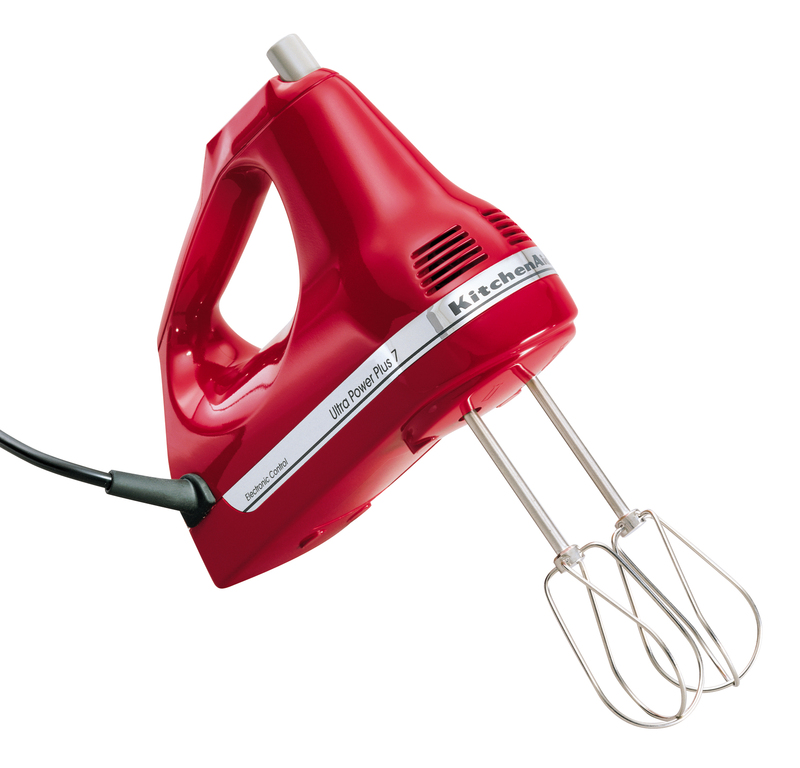 I grabbed the ingredients and went for my favorite hand mixer – a Kitchenaid Artisan Mixer with 7 speeds. Only problem is I realized that like a dufus I had given away another mixer to charity with the wrong set of beaters! Not a great start. Ok, I can order replacement beaters online but in the meantime I had to pull out my Kitchenaid Standing Mixer. I had forgotten how dense this dough is. It was probably best to use the standing mixer. If your hand mixer isn’t up to it, you may need to fold in the dry ingredients by hand. The bread is moist, sweet, and very addictive. I bet my neighbor will enjoy it and so will you. Spoon the batter into two greased bread pans. Bake loaves for about 1 hour or until a toothpick inserted in the center of the top of the loaf comes out clean. Cool before slicing (can be a bit warm). 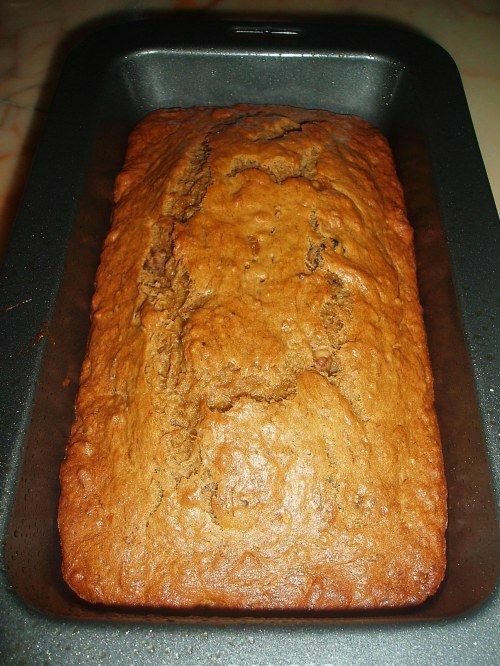 This entry was posted in Bob Wilson Photos, Recipes and tagged apple banana bread, apple banana walnut bread, baking, food recipe, Kitchenaid hand mixer, Kitchenaid standing mixer, recipe. Bookmark the permalink. OMG, Shawn, we have the same red stand mixer, LOL! I have all the KitchenAid red pots and pans too, as well as my garage sale Le Creuset and a few cast iron pans. 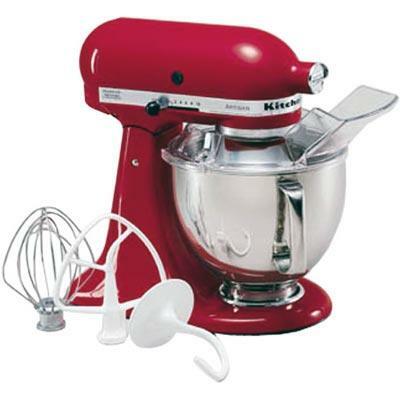 I’m saving for the professional Paderno cookware, but my bright red KitchenAid stand mixer is my baby. I love quick breads but I love my chocolate chip Irish soda bread recipe even more (no mixer required). You have great taste. Just like moi. 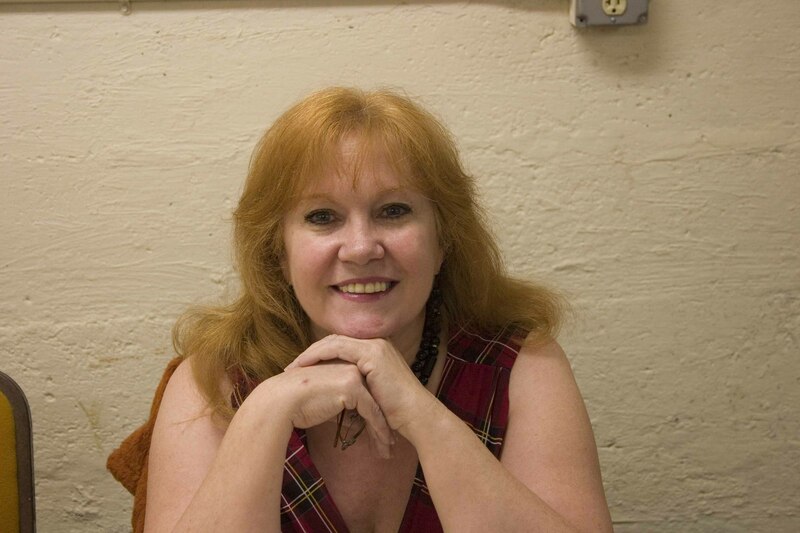 It stands to reason that “reds” would love red! Yes sagewoodshawn is my Twitter name. I don’t use it much though.